I have fun putting together an Easter basket for my girls every year – even for my teenagers! They never get too old, do they? Or perhaps I never feel too old to make one up for them. 😉 Holidays are always an excuse for me to make things a little special for them. I don’t, however, like to fill their baskets with a bunch of unhealthy treats. 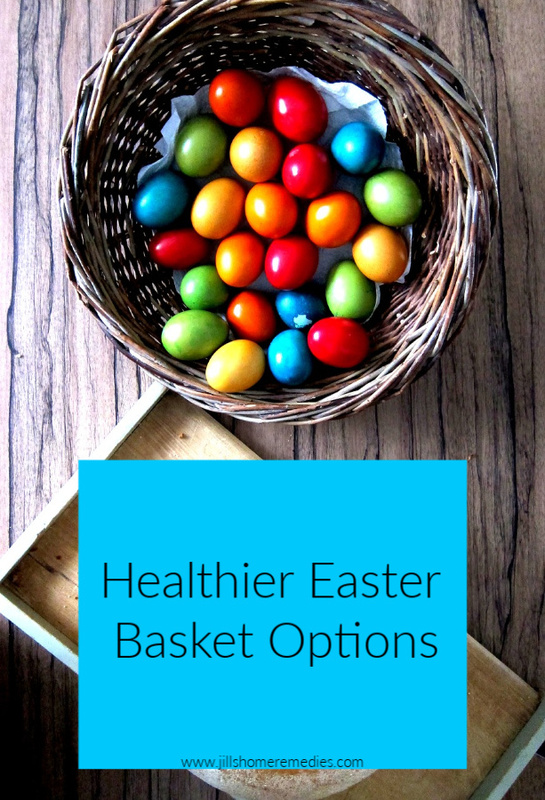 Here are a few ideas to make Easter baskets not quite as unhealthy. I always buy them stevia sweetened soda as a treat. Our favorite is Zevia. There are different flavors such as Cola, Orange, Grape, Black Cherry, Ginger Root Beer, Cream Soda, and more. One thing you will notice about these sodas is that they all are clear in color even though the flavors are diverse. That is because there are not unhealthy colors added to Zevias like traditional soda. This year I am assigning each of my girls an herb to grow themselves in a large container. They have to learn all about caring for it and how to use it in food and medicine. Their Easter basket is a perfect place to give them their assigned herb. Eggs don’t have to be dyed with unhealthy dyes! You can use things like onion skins, turmeric, red cabbage, lavender flowers, etc. instead! Find out how in this post. I would love to hear some of your healthier Easter basket ideas!